Do you find dimensions are showing incorrect value when you work on AutoCAD layout? There are two system variable that may affected this. Let’s see what they are, and what they do. If you draw your drawing in 1:1 then you must have DIMLFAC value 1. If you set it to 2, then dimensions that use this dimension style will show value twice than the original. You can check this value for current dimension style by typing DIMLFAC at command line then press enter. Or you can check in modify dimension style dialog box, primary units tab. If you see this value is not 1, you probably receive this file from someone who set their plots in model space. They need to scale the drawing if they have multiple scale in a sheet. To correct dimension value, they need to create several dimension style with different DIMLFAC value. You have this problem when working with layout, but when you use it for model space it shows correct value. If this is the case, then you also need to check DIMASSOC variable. The default value is 2. It doesn’t matter the viewport scale, if you have 2 as DIMASSOC value. AutoCAD will recognize the real geometry value. But if you have it set to 0 or 1, then AutoCAD will show you the value as if you print it and measure the distance on paper. Working with layout gives many benefits, like we cover here before. However, model space is a way to accomplish the job. Many people consider this as more convenient way. So if you receive a file and the dimensions don’t show correct value, now you know why! Hello. I have an issue with the actual dimension of the plotted figure on paper. From autocad i took cognition of the scale and i made sure the scale was set before exporting to pdf. But after printing.. I measured the dimension on the paper to scale and it wasnt given me d correct figure… I was having errors to like 3m… Whats the problem? What is this option for? “Apply to layout dimensions only”. I read alot, but I can’t understand. Because when this option checked, I can’t see any difference between Model space and Paper space, all values are same. 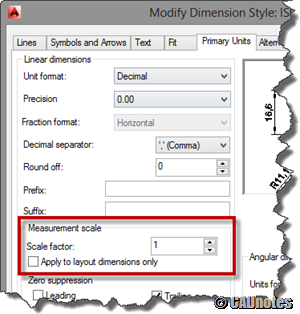 For example, scale factor changed to “2”, and “Apply to layout dimensions only” checked, factor worked, but, the value of factor applied to both model space and paper space. That is strange. If you change the scale factor to 2 and check the “Apply to layout dimension only”, you should see the difference. The dimension in the layout should show twice than the dimension in model space. 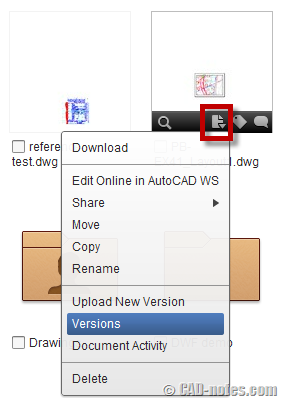 My AutoCAD version is 2016, SP1 installed also. Generally, for some options, Dimension Style Manager work erratic after changing options, and the only whey is close and re-open AutoCAD, or create new dimension style, sometimes work! Thank you very much for sharing the solution, Jennifer! I’m sure people will find it useful. I know I do. I’m using ACA 2013. Something is wrong with my layout. When I used the Ach D template(24″x36″) and scaled the viewport to 1/8″=1′, the drawing became so small. I double clicked outside the paper and measure the template itself, but instead of 24″X36″, the paper is about 100’x150′. I did everything as you instructed, but nothing seemed to work. I hope you might have some idea. Tried both of these methods and my dimensions still show incorrect values in the layout. This si only a recent development, Autocad has just suddenly started doing this. Without seeing the drawing, it’s hard to tell what is wrong. But I suspect that your drawing may have Z value in your object or viewport. Try to check the coordinates. I had same problem and I used FLATTEN command in model space so now the dimensions are correct. My god, you have solved a problem I’ve been having with AutoCAD for YEARS and I’ve never been able to fix it!!!! Until now!!! Thank you so much!!!!!!!!!!!!!! 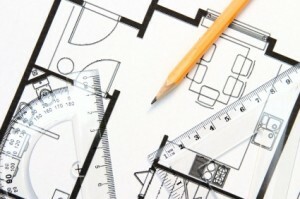 Do you remember your first time using AutoCAD?